2016 has been a busy year for Mobiscroll. We launched new products said goodbye to old things and worked on a lot of exciting stuff. Let’s look at what we shipped last year. Beginning last year we launched UIPatterns.io. It got featured on the first page of ProductHunt and showed up in a couple of publications – like Best tools of February 2016 by CreativeBloq. We have built UIPatterns.io to help people learn about common mobile patterns. Leading with a problem and providing a solutions and alternatives with interactive examples. We want this to be a useful space for people who are looking to learn about UX and how to create great mobile experiences. More updates and improvements to come. A weekly email series about UI Patterns that you can subscribe to also from UIPatterns.io. Every friday a new pattern gets dissected and sent to you via email. There are more than 1500 people subscribed to date. Ranging from freelancers, students and professionals from companies like Virgin, Salesforce and Alibaba. If you haven’t already subscribed, you can do it here for free. 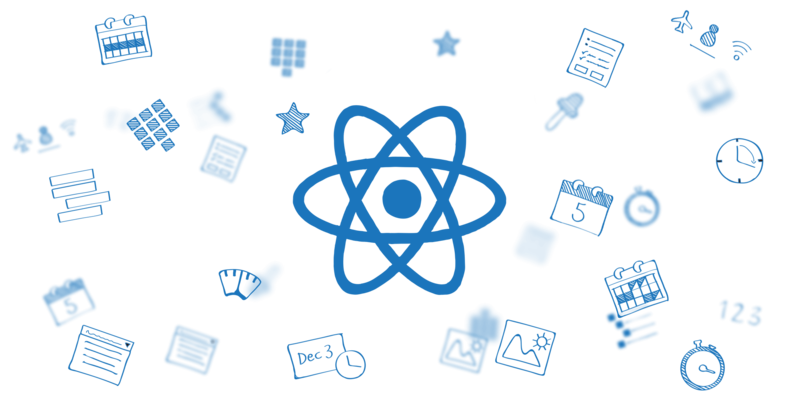 We have launched our React component library. The Beta went out somewhere before mid 2016. With your continued feedback and testing our team iterated and released the final version with the launch of Mobiscroll 3.0. Get started with Mobiscroll for React. The iOS theme received an overhaul. While preparing for the launch of iOS 10, we got the forms and scroller controls up to date. 3D wheel rendering and infinite scrolling was introduced. This was only possible with the rewrite of the scroller engine as part of Mobiscroll 3.0. We also introduced a brand new Dark theme for iOS bringing it in line with every other theme we provide. See what’s new about the update iOS theme. The Color Picker is one of our brand new products, making selecting and adjusting colors easy in both mobile and desktop apps. This is a full redesign from the scroller based color picker we had and much more useful for providing options for easy selection. Shipping with single select, multi select and refine modes. You can event adjust luminosity with a slider all within the same control. These set of features make picking colors while customizing a car or filtering for red and orange dresses a breeze. Check out the product page. 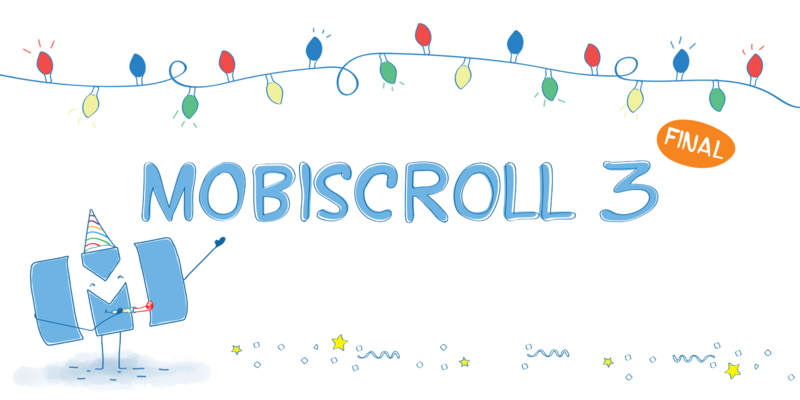 We had Mobiscroll 3.0 in beta for a couple of months and we finally released the stable version in December just before the holidays. It was the best way for us to end the year and there were a lot of happy developers waiting for this. So thanks again to all who helped with testing this latest iteration of Mobiscroll. Read more about what is new with 3.0 and why it is a good idea to upgrade. 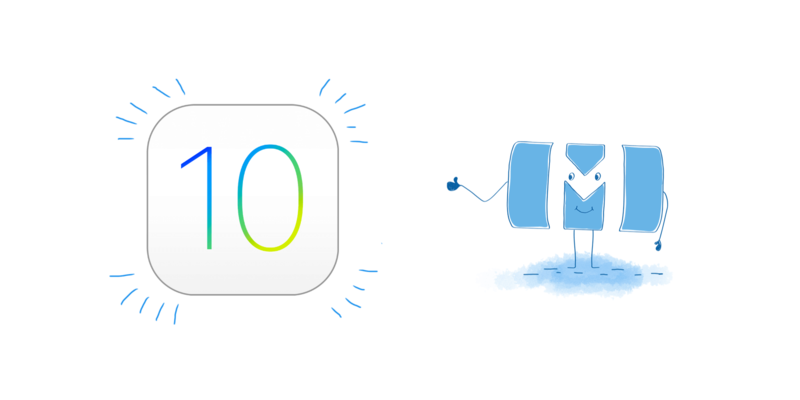 We shipped more than 170 changes – fixes, improvements, new features over 9 releases. We launched a new trial experience which we’ll be iterating on over the next months and redesigned major parts of our website, like the demos and documentation. We have shared our thought process behind it in an earlier post. 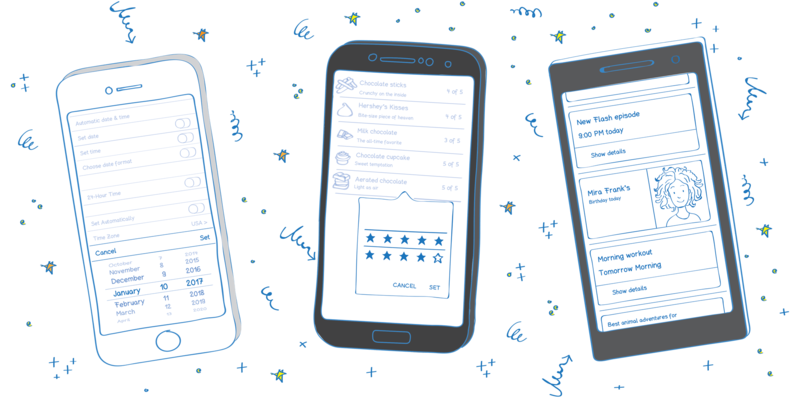 We are making great effort towards building more educational material to help developers get up to speed on creating great mobile experiences. We are working on supporting Angular 2 and making Mobiscroll controls work together better and be more efficient. We have a couple of new products planned as well along with bringing better support for truly responsive and cross platform applications. The power of Mobiscroll lies in its modular structure, so no matter if you need just one piece of functionality that you want to plug into virtually any app or you want a bunch of tools to reuse, we have your back. We are committed to building tools that help you make great apps and websites.